Single Sided Yellow Blended Wool Polishing Pad; removes compound swirl marks and fine paint surface defects. 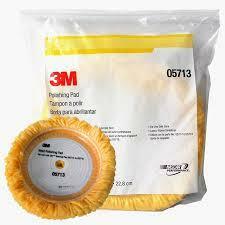 Use with 3M Machine Polishes and 05717 or 05718 3M Hookit Back Up Pad. Proven performer.